Another source of Filipino Pride is the current head of the Advanced Engineering Development Branch of Kennedy Space Center (KSC) which is one of the sites of the National Aeronautics and Space Administration (NASA) in the US. 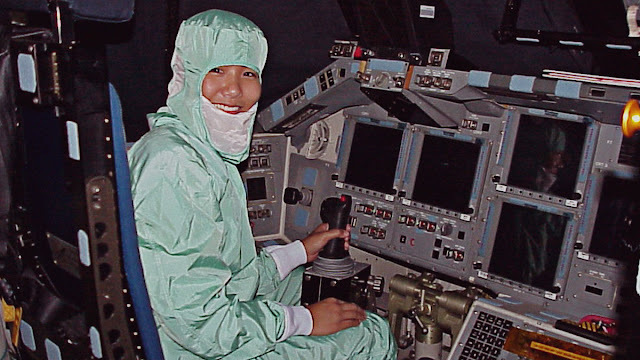 Josephine Santiago-Bond belongs to a select group of women in NASA that is a traditionally male-dominated agency as per its history and she is a Filipina. It has come full circle for Josephine who was born in the US during the time when her parents were conducting their Ph.D. studies. They eventually returned to the Philippines when Josephine was still an infant. She related that the first defining moment for her was when she left her family at age 12 when she was accepted as a scholar at the Philippine Science High School (PSHS). According to her, it sharpened her skills in science and mathematics since the curriculum was heavy on said subjects. As per her contract for her scholarship, she had to take up either science, mathematics or engineering courses. Although urged on by her family to take up a science course, Santiago-Bond took up Electronic Engineering at the University of the Philippines, Diliman campus. The course was also composed of predominantly male students. But her perseverance prevailed and she was able to obtain a degree in the said course. Another crossroads was arrived at when she had to choose between her dream job at a telecommunications company or pursue further studies. Having come from a family of doctors and scientists, she told that they helped her in making a decision. When she went to the US, her intention was to work for technology companies but there was a downturn in the demand for such workers then early in the 2000s. But she eventually first worked at Daktronics, Inc. as an engineer that designed scoreboards. Her place of work proved crucial since it was only 2 miles from South Dakota State University (SDSU) where she eventually attended post-graduate studies. With the intention of defraying part of her tuition, she took up a job as a teaching assistant and then as a research assistant for NASA’s Space Grant Consortium. This further opened up an opportunity of spending one summer at the KSC by performing experiments for SDSU which was available only at KSC. After that, she applied and was accepted at the cooperative internship and after graduation from SDSU was hired by NASA to be an electronics engineer at KSC. KSC being in Florida also made Josephine comfortable with her place of work since it was very similar to the Philippines with its beaches and palm trees. Josephine disclosed that she contributed to the design of new technologies, space shuttle ground operations systems, Constellation subsystems design, and even the RESOLVE lunar mission. “I have experienced first-hand how an impressionable child can grow to love science and engineering by simply being exposed to it. I believe that encouragement to pursue these careers from family and other institutions go a long way, and so does awareness of one’s capabilities and potential,” she said. “I am the youngest child in a family of doctors, where being a contributing member of society is mandatory,” Josephine added. It has been a long way for Josephine but the journey has far more to go for this Filipina.